On Monday June 3rd HeartMath USA co-founder Howard Martin, author of The HeartMath Solution and Heart Intelligence, will visit the Netherlands to facilitate a unique workshop. On top of that Howard will also deliver a two and a half day workshop from June 5-7th in the South of Germany. For more information click here. Below you find more information on the June 3rd workshop. Most of us are experiencing a speeding up in our lives. We feel it on the inside. We experience it in the busyness of our daily activities. Day-to-day life often feels like a relentless, accelerating momentum that is hard to keep up with. How do we find the balance needed to flow with the evolutionary speed of change, to feel a sense of purpose and fulfillment instead of just feeling like we are surviving? The same un-seen forces that are driving high-speed, chaotic change are also giving us the ability to grow, to learn to change in positive ways unlike ever before in the history of humankind. As a result, there is a growing momentum of positive change, innovation and cooperation taking place. It is a movement, one that is being driven by the qualities of the heart manifesting in how we live our lives and shape our future—an Add Heart Movement. Our ability to make choices that align us with our co-creative power come not from the mind alone but rather from the core of our being—from the intelligence of the heart. Developing the intelligence of the heart and leading a more heart-connected life are evolutionary imperatives of the times we live in and…it’s already happening. Experience Howard Martin—author, celebrated international speaker and progressive business leader. He is one of the original HeartMath leaders and has been with the organization since its inception in 1991. 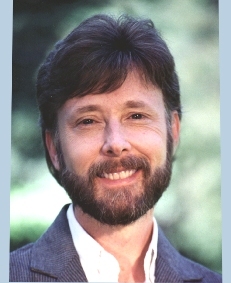 He is co-author of the highly acclaimed book The HeartMath Solution and contributing author of Heart Intelligence. Perhaps you have read his books, heard him speak or have seen him in movies like The Power of the Heart, The Incredible You and The Truth. Now, you have the opportunity to attend a special program with him to learn and experience the profound work of the HeartMath Institute. This work is backed by more than 25 years of research, and earning the trust of more than 5 million people in more than 100 countries and is used by Fortune 500 companies, the police, the military, hospitals, schools and many thousands of people pursuing personal growth. By: Howard Martin: Executive Vice President, HeartMath Inc., co-author of The HeartMath Solution and Heart Intelligence. Experience and Learn a science-based system that will change how you live your life.